I am a single mother to two beautiful girls: Taylor and Caitlyn. They are mini clean eaters and love helping me bake and cook. My older daughter Taylor helps me pick out dinner recipes for the week, shops with me and even pitches in on the cooking and cleaning up. My girls often inspire my baking and today after dance class, while still in her tutu, Catey came up to me while I was making protein bars and asked, “Mama, will you make me something sweet?” After my heart melted, I checked the fridge and found that I had plenty of fresh berries and decided to make her some muffins. I threw this together with some nutritional bonuses from the baby food, flax seed, and hemp protein powder. I always put a drop of honey on the top of my muffins for an extra touch of sweetness. 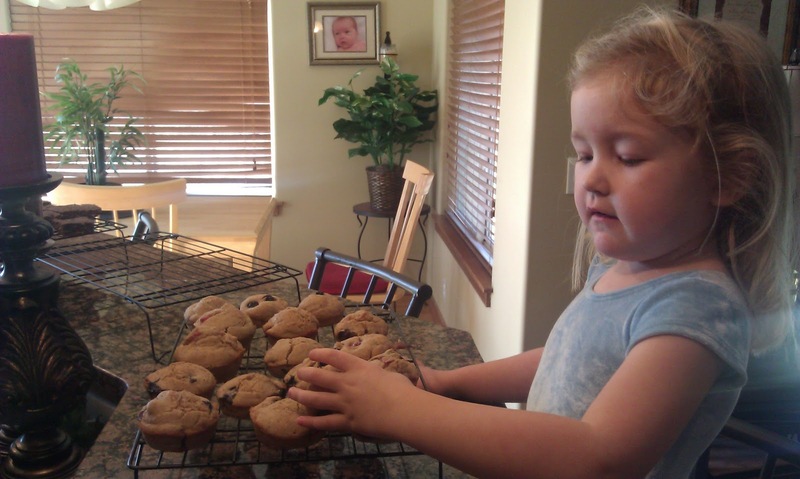 They turned out delicious and Catey got her “sweet” for the day. 1.Preheat oven to 350 degrees Fahrenheit. Lightly spray two muffin pans – makes about 18 or so. 2.In a large mixing bowl, mix whole wheat white flour, Stevia, cinnamon, baking powder, and baking soda. Set aside. 3.In medium mixing bowl, mix together egg whites, hemp protein powder, flax seed, baby food, and vanilla extract. 4.Mix the wet mixture into the flour mixture. Fold in the berries. 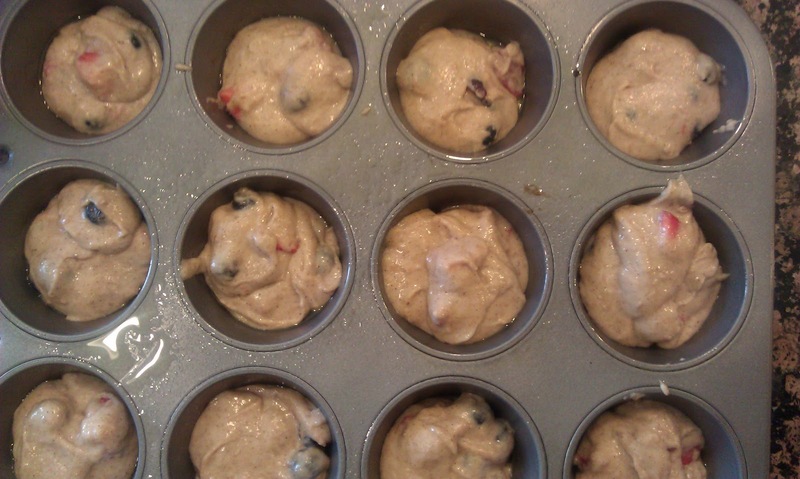 5.Spoon combined batter into lined muffin cups. Top each muffin with a small drop of honey. 6.Bake approximately 18 minutes or until a toothpick inserted into the center of a couple of the muffins comes out clean.